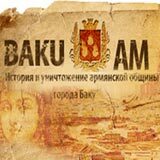 The news that an Armenian soldier is presented as Azerbaijani in an Azerbaijani textbook alarmed the Ministry of Education. However, it should be mentioned that the news surprised no one and no one was sceptical to say, “How can it be, guys? It is incredible, the entire information in school textbooks is thoroughly checked”. Maybe there is an explanation for this. Many parents of Azerbaijani schoolchildren have seen the textbooks of their child and know that particularly those in Russian contain an incredible number of mistakes and howlers. Besides, there are shocking translations of Azerbaijani verses and texts, obviously performed not by the best specialists. A group of parents, still a small one, called Curriculum in Azerbaijan, has gathered together on Facebook. The things that make the parents indignant can be conventionally divided into several groups. First of all, it is, of course, the mistakes in Russian. According to the fathers and mothers, it is not quite clear why their child needs to study in the Russian sector if he is taught wrong Russian there. The second thing is the obvious misprints and mistakes in mathematics tasks and in textbooks on other subjects requiring precise answers. The third point is more generalizing – it seems to the parents that someone above who approves textbooks like this obviously believes their children to be idiots. To tell the truth, it is difficult not to agree with this seeing what kind of “granite of science” our children are treated to. The parents wonder: does someone deliberately understate the nation’s intellect (some analysts say the U.S. authorities do this) or are mistakes like this purely a result of non-professionalism of those who work at the Ministry of Education? To tell the truth, it is hard to believe that such actions are purposeful, and it must be admitted that our authorities could not hit upon such a thing. The problem rather lies in the system itself and includes a number of factors. We are not able to penetrate into the mysterious world of textbook authors, but we can guess that those working at the Ministry of Education – which approves these textbooks –are most likely not uncompromising censors, but fawning officials who seek to please someone. Otherwise, how to explain why they allow such textbooks to be published? Suppose the Ministry of Education lacks specialists, particularly for compiling and checking textbooks for the Russian sector, then there is no problem with finding such specialists in Russia. Invite them and offer good conditions. There are many professionals in the regions and I am sure that they would agree to move. Azerbaijan is not ashamed to invite foreign architects, so why not invite foreign authors? The second option is to rehabilitate Soviet textbooks or purchase new ones in Russia. If the Ministry of Education does not like the task, “Masha and Sasha found two flowers each,” then can’t it buy the copyright for a finished book from another country and just translate it or adapt it to the local manner? Then it will be this way: “Vusala and Asker found two flowers each”. But apparently the national pride does not allow this. But in all likelihood, as both you and we can guess, there are worthy specialists in Azerbaijan as well. However, they are not allowed to write or check the textbooks. As is the custom, a tender is announced for the textbooks and everyone knows without an explanation in what way the tenders take place in our country. Someone got his kickback and our children got Alyonushka who goes to work. The cheerful parents laughed the matter off by saying that those who will study with Azerbaijani textbooks will turn into a goatling. We would like to add that the parents should not give up and drown themselves. All this must have some happy end, as is the way in the tale or tall tale in which we live. But as long as the end has not come, there is only one panacea for this, and that is humor.